When I visit a vendor after a couple of years I measure how they have changed along 4 vectors – product growth, geographic expansion, change in customer base (going after larger or smaller customers) and vertical capability expansion. At Zoho Day last week, I picked up another vector – the Amazon vector. More about that later. You knew it would be a different couple of days because CEO Sridhar Vembu was not hobnobbing, unlike many of peers, in Davos. He was greeting us in jeans and untucked shirt. The image below shows some of Zoho applications. It does not include coverage of two sister companies, ManageEngine which focuses on IT Management and WebNMS which started off with a network management focus and now has an IoT, smart city infrastructure focus. The latter two also shows in Zoho’s comfort in running its own data centers which it claims are more efficient than procuring from hyperscale providers like Google. The registered user growth has averaged 37% over the last 5 years, and is now over 40 million worldwide. Couple of analysts said Zoho seems to only deliver “minimum viable product” – if that’s good enough for its customer base what’s wrong with that? Besides, it reflects an agility as Zoho can bundle a variety of services it has been growing over the last decade. The prime weak areas, to me, today are in HCM and in Asset Management. Zoho is experiencing strong growth across most major economies and has 7 data centers to mirror them, and shows up at over 170 trade shows around the world. 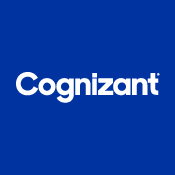 It is unafraid, unlike so many US cloud vendors who are reluctant to expand globally. Indeed, only 42% of total revenues now comes from the US (down from 53% in 2012). Sridhar said “We opened Amsterdam, Singapore, Dubai, Mexico, and Australia last year and some more are coming this year.” It wasn’t just talk. He had flown many of the employees for the couple of days. I met several from Pleasanton (the HQ) and Austin (fast growing US campus), from Chennai (still the development hub) and Delhi in India, from Utrecht in Holland, Kanazawa in Japan and New Zealand. Zoho keeps moving up market in terms of customer size – to the extent it can do so without a direct sales, and SI ecosystem model. Two customer executives presented at the event. Julie Doris leads Customer Service at Rain for Rent (drainage pumps, water tanks and services for farming, fracking and other markets). Tarun Raisoni is co-founder and CEO of Rahi Systems (solutions for data centers and corporate campuses). Both are private but Rain has over $500 b in revenues and Rahi has over $150 b. Neither is a CIO but both were impressively knowledgeable of product features and relentlessly focused on value from software. As Julie said “I don’t let Gartner Magic Quadrant placement influence my decisions too much”. Tarun, in response to a question, said “we have not done an ROI analysis – yet”. Honestly, at Zoho’s price points, he may not need to. 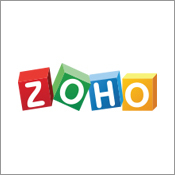 Certainly, those two customers are a far cry from the Small Office, Home Office (SOHO) segment that ZOHO was originally named after. Zoho is grappling with whether it needs a Toyota/Lexus type branding fork. The one area they have not grown is around verticals. I later had a one on one conversation with Sridhar about “white spaces” to consider. The big difference – when I talk to other software CEOs they either tell me they don’t have bandwidth to verticalize, or others are content with the few features they do have. They appear convinced these features can satisfy the need for vertical operational “books of record” like insurance claims processing or clinical systems. My concern with Sridhar is he will rush off and commit to multiple industries. He is completely unafraid! You can see that the enterprise cloud vendors are even more sales and marketing intensive than traditional information software companies and those were already quite sales and marketing intensive to begin with. This is something that is unexpected because, if you look at the whole SaaS cloud revolution, it was supposed to deliver us from this exact problem: focus more on software and not so much on the facility of it. 50% of their revenue is spent on sales and marketing; 50% is now considered just normal. And 70% is not uncommon at all now. We are spending tens of millions of dollars in cloud infrastructure, all of these storage servers. We know how the costs have come down. In fact, something like those are not even possible if not for this development. Yet, ask yourself, why is it that somehow enterprise software prices only go up? Why don't all these prices keep coming down? There are also substantial … software in all of these. I mean look at networking. That is mostly software now. Somehow, all of those industries are subject to one kind of economics. But when you come to enterprise software, the economics seems to change. An example of that thinking comes from Zoho One , the bundle priced at $30 a month an employee, or $75 a month on per-user basis. It was launched in 2017 with 35 applications, it now has over 40. And from the presentations we heard more apps will join the bundle. A dollar a day per employee is a compelling value proposition, when the functionality keeps growing exponentially. Besides preparing for the Amazon onslaught, Zoho has adopted some of its business practices. The more I heard of Zoho One and the growing apps coverage for the same price, I thought of how Amazon Prime has grown in coverage. It started off a free 2 day shipping, then added free movies and since then countless new features. AWS delivered 60+ price cuts in its first decade - almost as if they were listening to Sridhar. Amazon may never enter enterprise software, but Zoho wants to be ready. Sridhar is too modest to say Zoho is disrupting the industry, but in my eyes, he already has. He has given me another vector to measure software vendors against. Oracle's stretch goal for its applications? “By many measures, Oracle should by now be the undisputed leader in enterprise applications. When Computer Associates was on a buying spree in the 90s, Oracle founder Larry Ellison had commented something along the lines of "every ecosystem needs a scavenger". Starting with the PeopleSoft acquisition in 2004, Oracle went on its own binge and claimed it was time for an "industry consolidation". They made significant acquisitions - PeopleSoft for US$10.3 billion, NetSuite for US$9.3 billion, Siebel for US$5.6 billion, Micros for US$5.3 billion, Hyperion for US$3.3 billion. Others like i-Flex, Portal and Retek brought them banking, telecom and retail applications. By 2006, they were loudly celebrating that they were "half way there" in developing their own next-gen Fusion cloud applications. I would similarly welcome an Oracle more focused on business applications. The Western front is waiting to be tamed. I was in Shanghai, China recently. As I have told my friends, I ended paying a “tourist tax” everywhere. Moneychangers, gypsy taxi drivers, tour guides who took me to pearl and silk stores where I am sure they got a cut. Part of me was irritated, part of me glowed – it is so nice to see young men and women hustling and bustling. It feels so alive. Coming home, I saw protests, I saw whining on TV. Felt like a different world where work ethic is dying. Of course it is not, but the contrast was striking. When I wrote Silicon Collar two years ago, I got an exciting view of how drones and wearables and 3d printers and machine learning are reshaping every business process in every industry. I also got the flip side –academics and analysts using the fear of machines to unnecessarily scare workers. I saw how the economy has ended up with 6 million unfilled blue collar and trade jobs and in contrast, graduates with soft white collar skills for which they should never have racked up $ 1.5 trillion in student debt. With that backdrop, I am so glad to be reading Done Right by Workfront CEO, Alex Shootman. He cites various leaders who have motivated employees and cite terms like Commander’s Intent. Like Tom Watson Sr, founder of IBM. When an executive resigned after a $ 10 million error. Watson told him “You cannot be serious. We have just spent 1o million dollars educating you!” Or the encouraging note he got while at BMC when a quarter cratered as a result of the US –Iraq war in 2003. He profiles workers who love their work. Examples like the 300 Call Syndrome. 911 call handlers tell about being alert to detect that one different call which invariably comes after hundreds of routine ones. And he recognizes Millennials like Jen Gilligan, who at the drop of a hat will head across the world seeking a more meaningful life. Reminded me of my daughter Rita as she crisscrosses SE Asia. It is impressively short – only 135 pages if you leave out the footnotes and credits. Each chapter does have an exercise including one which pulls it together – the Done Right Value Pyramid. It is a smooth, easy read. No fear of machines. No snarkiness. Not much bragging about himself or his company. He has half a page at the end about Workfront. How rare is that in today’s hyped up vendor marketing world? That right there, makes me want to learn more about Workfront. The book is a pure celebration of the joys of work and work ethic. For eons humans have found dignity through our work. Many of our family names continue to honor our occupational legacy. The book is about the future of work - enjoyable and rewarding work. People in our industry like to call themselves futurists. My glasses don’t allow me to look that far out. My books have, however, forced me to become a pretty fair historian. In The New Polymath I looked at Renaissance Men and Women like Leonardo da Vinci over the centuries. In Silicon Collar, I looked at automation and impact on jobs over the last 100 century – how UPC scanners, bank ATMs, cruise control in cars and other automation was gradually absorbed by society. From the bread crumbs I lay out, I think my readers are smart enough to plot their own future journeys. My clients get a bit more guidance in the form of advisory support. Over the next 3 months as the editors and designers finalize my book for release, I will be sharing perspectives from my research. c) “In Chapter 1, we described the Louisiana Purchase. It was a major risk for President Jefferson but it doubled the real estate of the young U.S. What if the population had just yawned and clung to the Atlantic Coast and not moved to the new territories? That's a good analogy to what SAP faces. It has new real estate in the form of S/4, Leonardo, SCP, HANA and its cloud properties and yet the majority of its 400,000 customers are clinging to the "coast" of legacy products. Helping them migrate is SAP's major short term opportunity. Over the next 3 months as the editors and designers finalize my book for release, I will be sharing perspectives from the research. The majority of the book is in the voice of SAP’s customers, executives, competitors and analysts. It is an exciting and a turbulent time for enterprise tech. From SAP GUI to digital assistants, from ABAP to Python, from on-prem to Kubernetes, deprecating old customizations and creating new ones with platform and open source capabilities, new vertical and global functionality. New generation of developers, outcome based business models, new challenges. As usual, I am just the historian. From the bread crumbs I lay out, I think my readers are smart enough to plot their own future journeys. My clients are already starting to get richer guidance. Similarly, reading my notes from meetings with Franck Cohen, Rob Enslin, Nick Tzitzon and others at SAP, I see an openness which is refreshing. I give credit to Stacey Fish, my contact at SAP. She sets up calls/meetings and mostly observes even when we may be ganging up on her execs. She may ask me what I thought afterwards, but rarely does she push an overt agenda. So, here is my request of other vendors – converse more with us, don’t just pitch. Don’t just outbound communicate to us, invite our inbound requests. Open up more access to your customers. I love how Plex invites us to join their Customer Advisory Board once a year. If not, not to worry, we can access customers through many other channels. But do encourage your execs to be authentic. On that point, I see a trend for executives to talk about corporate “purpose”. I admire executive commitment to diversity and social good, but in the end as an analyst I am expected to focus on functionality, architecture and economics. When I talk to customers rarely do they say “corporate purpose” was the reason they selected a vendor. It may have been a tie breaker, rarely a item which counts for more than 10% in their scoring matrix. On the other hand on functionality, architecture and economics I expect many more detailed conversations. As you will read in the book, SAP is in far better shape than people give it credit for. But SAP, its partners and its competitors have all missed out on many, many market opportunities in the last decade. It’s a new year, and a very new market. Look forward to many more conversations.